The Home: Chita & Steve Lustbader drove through Santa Fe on their honey moon in 1977 and never left. They raised a family in their Adobe home with wholeheartedness and openness to the unfolding of life. The Project: CabinFever created an evening length performance in their home inspired by the 50 hummingbirds in their backyard, their grounded family values, and the history of their ancestors. 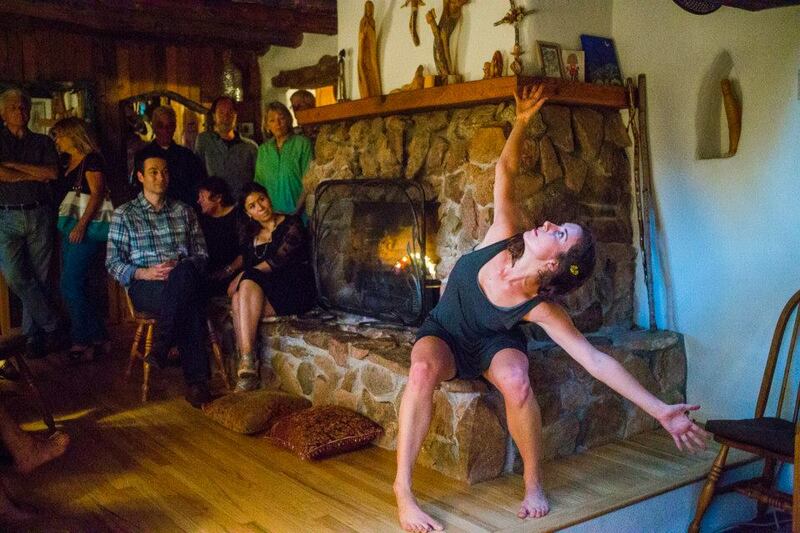 75 people from their community attended the performance and explored their beautiful home. This was a part of CabinFever's Salutations. A tour through your departure & arrival. in August 2014.